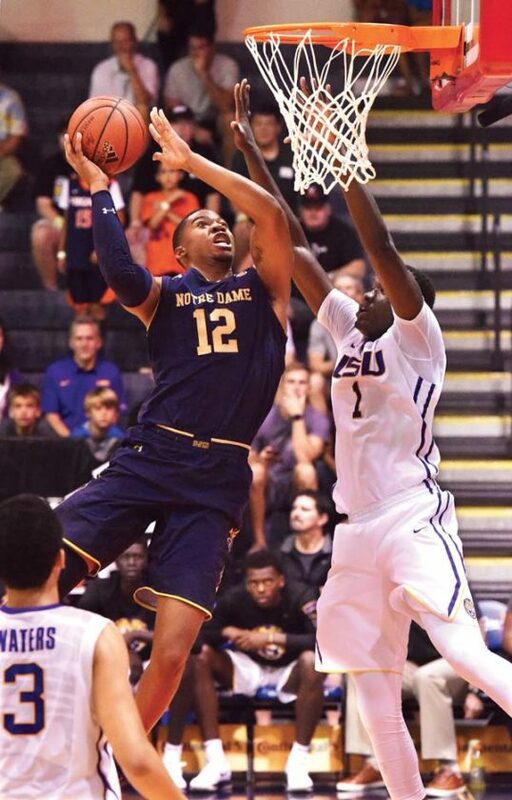 LAHAINA — Notre Dame came to the Maui Jim Maui Invitational with one thing in mind. After a dominant 92-53 win over LSU on Tuesday in a semifinal game at the Lahaina Civic Center, the Fighting Irish are one victory from their goal. The Irish (5-0), 13th in The Associated Press rankings, will face No. 6 Wichita State for the title today. 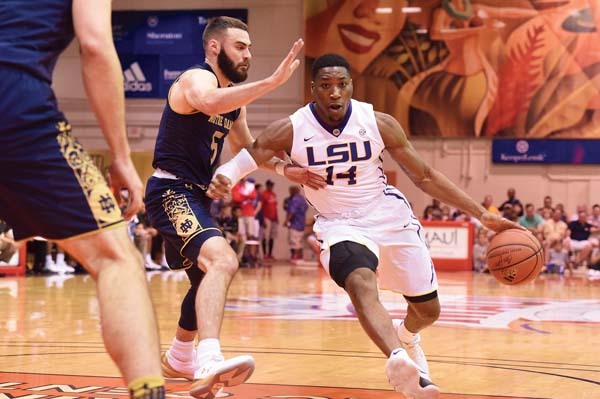 LSU (3-1) will play Marquette for third place. 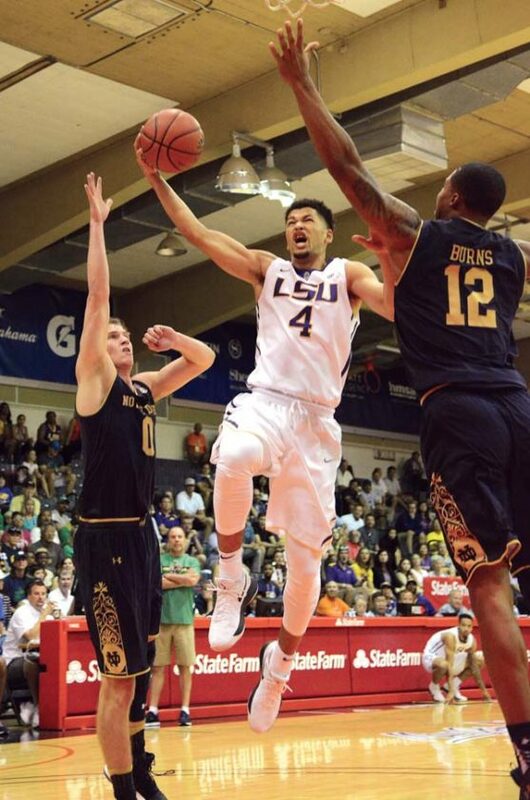 LSU’s Skylar Mays attempts to get off a first-half shot between Notre Dame’s Elijah Burns and Rex Pflueger. Notre Dame opened with a win over Chaminade, and its combined margin of victory in its first two games of the tournament is 66 points. The record for total winning margin for a Maui champion is 90, set by North Carolina last year. T.J. Gibbs scored 26 points to lead the Irish to their second Valley Isle championship game — they lost to eventual national champion North Carolina in 2008. Notre Dame shot 33-for-64 (51.6 percent) from the field, and limited LSU to 19-for-52 (36.5 percent). The Irish forced 17 turnovers while committing just six. 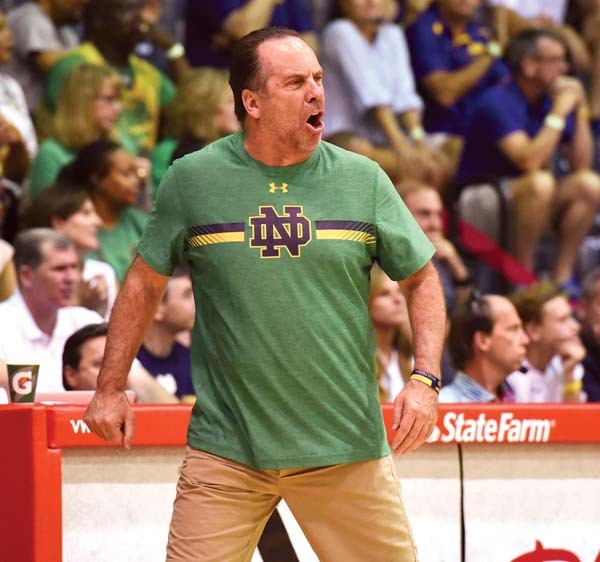 Notre Dame coach Mike Brey lets the officials know he doesn’t like a first-half foul call. Notre Dame outscored LSU 19-4 off turnovers, 12-8 on second-chance points, 7-2 on the fast break and 21-16 off the bench. The lead for the Irish reached 39 points in the final minute. Farrell had 17 points and seven assists; Colson had 12 points, 11 rebounds and five steals; and Martinas Geben scored 10 points. Gibbs and Far­rell combined to go 10-of-20 from the 3-point line. Duop Reath led the Tigers with 17 points, but no one else scored more than eight. Reath shot 6-for-10, while the rest of the Tigers went 13-for-42. LSU’s Brandon Sampson grabs his ankle after being hurt early in the game. The Tigers’ Brandon Sampson suffered an ankle injury in the game’s opening minutes and did not return. Geben 4-4 2-3 10, Colson 5-11 1-3 12, Farrell 5-14 3-3 17, Gibbs 9-15 2-2 26, Pflueger 2-5 2-2 6, Gregory 0-1 0-0 0, Burns 2-3 0-0 4, Torres 0-0 0-0 0, Mooney 3-5 1-3 9, Djogo 1-1 0-0 3, Nelligan 0-0 0-0 0, Harvey 2-4 0-1 5. Totals 33-63 11-17 92. The Tigers’ Randy Onwuasor is guarded by Matt Farrell of the Fighting Irish in the first half. Reath 6-10 4-5 17, Sims 2-4 0-0 4, Waters 2-7 2-2 8, Mays 3-11 1-1 8, Sampson 0-1 0-0 0, Epps 1-7 0-0 3, Combs 0-0 1-2 1, Kiir 0-0 0-0 0, Alexander 1-4 0-0 2, Vial 0-1 0-0 0, Onwuasor 3-4 0-0 7, Edwards 0-2 0-0 0, Graves 0-1 0-0 0, Rachal 1-1 1-2 3. 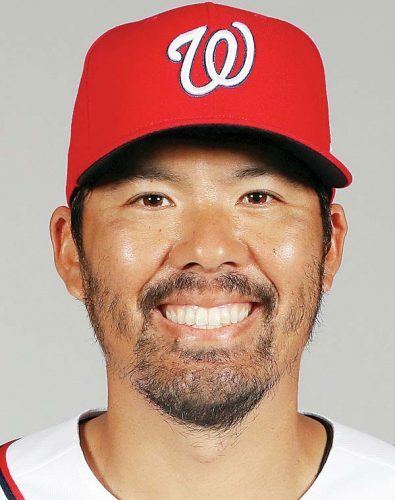 Totals 19-53 9-12 53. Halftime–Notre Dame 40-24. 3-Point Goals–Notre Dame 15-32 (Gibbs 6-10, Farrell 4-10, Mooney 2-2, Djogo 1-1, Harvey 1-3, Colson 1-3, Gregory 0-1, Pflueger 0-2), LSU 6-23 (Waters 2-4, Onwuasor 1-1, Reath 1-1, Mays 1-4, Epps 1-5, Vial 0-1, Graves 0-1, Sims 0-1, Edwards 0-2, Alexander 0-3). Fouled Out–None. Rebounds–Notre Dame 35 (Colson 11), LSU 30 (Mays 7). Assists–Notre Dame 18 (Farrell 7), LSU 9 (Onwuasor 4). Total Fouls–Notre Dame 10, LSU 15.